An unexpected discovery by an American research team reports that vitamin C can kill the bacteria Mycobacterium tuberculosis that causes multi-drug-resistant tuberculosis MDR-TB. The new discovery is expected to lead to new treatments, cheaper drugs and bring relief to millions of people suffering from multi-drug resistant tuberculosis (MDR-TB) across the globe. The research was undertaken at the Albert Einstein College of Medicine of Yeshiva University. The report published recently has found that, "Vitamin C, a compound known to drive the fenton reaction, sterilizes cultures of drug-susceptible and drug-resistant Mycobacterium tuberculosis, the causative agent of tuberculosis." Researchers at the Albert Einstein College of Medicine, New York, found that the vitamin C effectively kills drug-resistant TB bacteria under laboratory conditions. 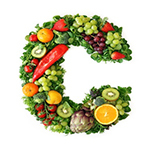 The research also suggests that that vitamin C can shorten the duration of drug therapy. The potency of vitamin C an essential nutrient supplement was discovered when researchers were experimenting to figure out why the bacterium that causes tuberculosis was resistant to certain drugs. When they used one of the base component of vitamin C (cysteine) they unexpected killed the bacteria. This finding suggests that vitamin C added to existing TB drugs could shorten TB therapy. However, the findings so far are based only on bacteria in test tubes. It is not known if the consumption of Vitamin C (or more specialized targeting) would have the same effect on the patients. According to the World Bank statistics, "Unknown and new infections that fail to respond to TB drugs has been a growing problem. TB was recognized as a global health emergency by the World Health Organisation (WHO) 20 years ago, but remains a leading cause of death by an infectious disease despite a 41-percent drop in the death rate from 1990 to 2011. In 2011, TB affected 8.7 million people and cost about 1.4 million lives. About 650,000 people worldwide now have multi-drug-resistant TB (MDR-TB), nine per cent of who have extensively drug-resistant TB (XDR-TB).TB is especially acute in low- and middle-income countries, which account for more than 95 per cent of TB-related deaths." Cases of MDR tuberculosis have been reported in every country surveyed. In 2013, the conditions in India, China and Eastern Europe were characterized as being 'at epidemic proportions.' Tuberculosis is a common, and in many cases lethal, infectious disease caused by various strains of mycobacteria, usually Mycobacterium tuberculosis. Tuberculosis may infect any part of the body, but most commonly occurs in the lungs. Globally, tuberculosis is the second most common cause of death from infectious disease (after those due to HIV/AIDS).